Race Officer Andy Dowden will run through the details of the first race taking place at 10:30am on 20th January. A Captain’s Folder with Invitations will be distributed to each participating yacht at the SALA Resort. Either prior to or after the Briefing. Participating yachts will sail/motor on a course set by Race Officer, Andy Dowden. The race will start and finish at the SALA Resort. Photographers will actively take photos throughout the race event and respect the wishes of those who prefer to keep a low-key & private presence. The course is once again to be set at Mai Khao Beach. Race Officer Andy Dowden will explain the following day’s race in detail and answer all queries. The briefing will be held in the same location as the previous evening. Motor yachts will mark the course and other yachts wishing to participate, but not race, will be encouraged to start in the Corinthian Class after the racing yachts. Owners private dinner to be held at an exclusive location within the Sala Resort – Owners and invited V.V.I.P guests will be treated to an exclusive dinner created by chefs who have been specially flown into Phuket to dazzle and excite taste buds, free flowing wine and champagne will accompany the dinner. After this festive treat guests will be invited to join in on the challenge races to see if their favourite team have won a challenge prize. 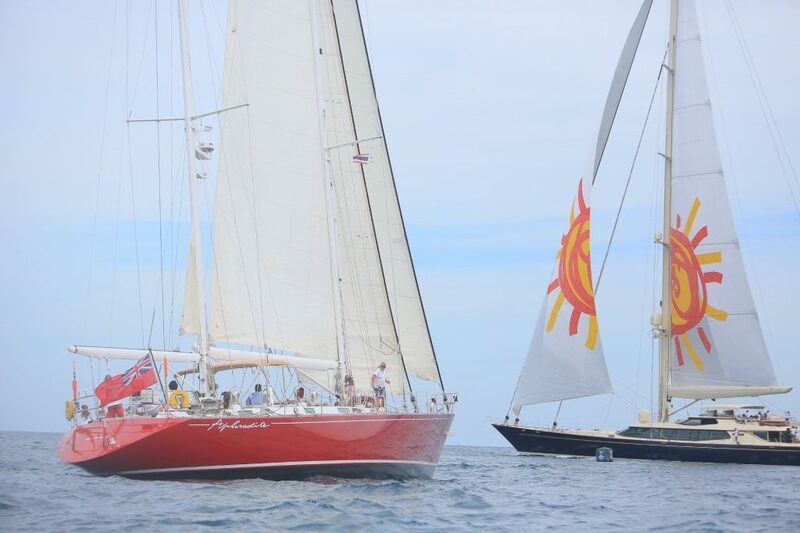 The teams for the “Challenge” are made up of the crews from participating Superyachts and Sponsors’ staff . Teams will design and construct a model boat from a simple kit of “bits & pieces of wood, fabric, plastic”. When completed the teams then sail (with breath as wind power and hands tied behind his/her back) up/down a 3Meter trough of water, one with surprise twists and all in the name of fun! Each model boat team has minimum 3 people for the model boat-building. One crew member is designated to run the actual “race” between two teams amidst jeers and cheers from those attending, fueled by exceptional party beverages and delicious snacks from the Sala Hotel. 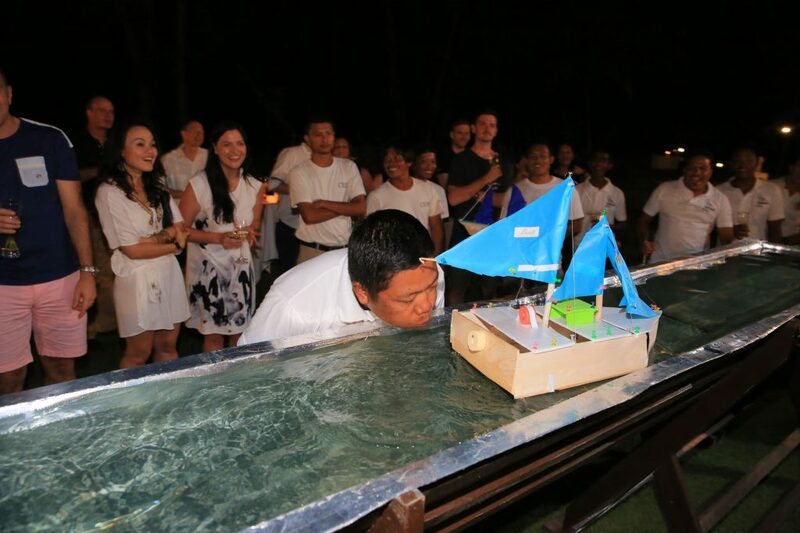 Participating yachts will sail/motor on a course set by Race Officer, Andy Dowden, once again off Mai Khao Beach. Motor yachts will mark the course and other yachts wishing to participate, but not race, will be encouraged to start after the racing yachts. 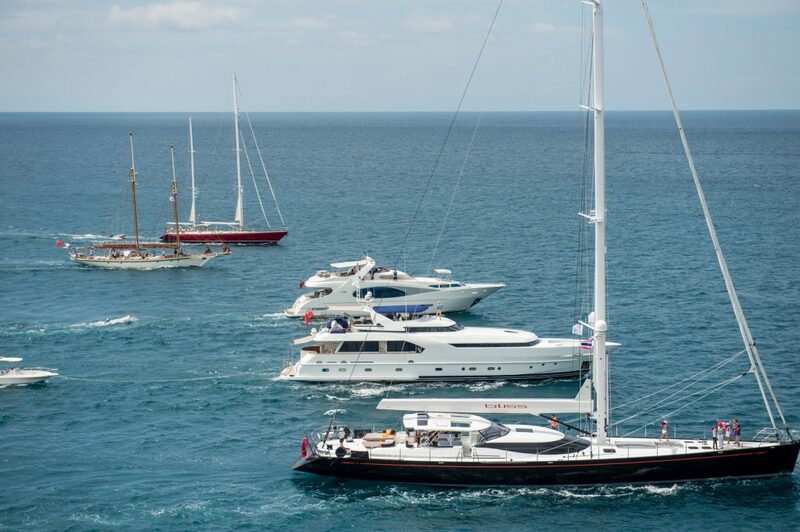 All attending yachts will participate in a ‘Dress Parade’, lining up for a memorable group photo. The exclusive Asia Superyacht Rendezvous VIP Gala Dinner will be hosted by SALA Resort & Spa Phuket and will impress guests with a variety of cuisine to entice palates of all attending. The sumptuous dinner will be accompanied by entertainment followed by dancing. The presentation will be made for the winner of the ASR Cup 2018.